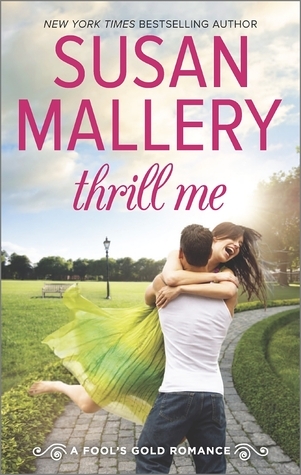 In Thrill Me (Fool’s Gold #18) by Susan Mallery, Maya Farlow has grown to think of Fool’s Gold, California, as her hometown thanks to the couple of years she lived there with ex-step siblings Zane and Chase. Back in town a decade after she ran away from her serious relationship with Del Mitchell, her new job helping create on-air spots to boost the town’s tourism puts Maya right back in his path. She knows it’s time to apologize and explain why she ran. Working with Del, though, only proves their attraction has never gone away. But can she take the leap and confess her feelings? 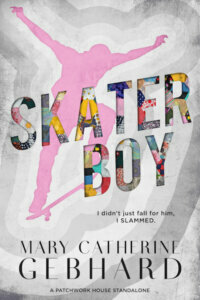 When extreme sports pro Del took Mayor Marsha up on the chance to help with Fool’s Gold promotional spots, he never thought he’d be paired up with his ex-girlfriend Maya. He’s no longer harboring any anger where it’s been ten years since she broke up with him. But a working relationship is all he’s interested in. The only problem with his good intentions? They fly out the window when his lust and feelings for Maya come rushing back. Del isn’t sure he can ever trust her again. But his heart (and other parts of his anatomy) might make that decision for him. Does romance get any sweeter than those we find in Fool’s Gold? I truly don’t think so. 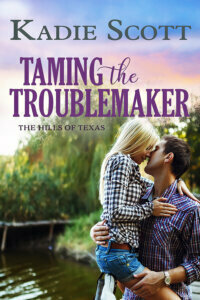 Leave it to Susan Mallery to pull together two of the most likable characters and give them a reunion that is both hot-as-sin AND so tender it will make you sigh. Del and Maya’s second chance at romance didn’t start off as rocky as I figured it would. Ten years since the last time they’d seen each other meant a great deal of growing up for them both, and they ended up working well as a business duo. I loved that there was still a strong sense of attraction they couldn’t ignore, though. The scenes where they reminisced about their time together as teens, to me, really made me believe in the pull that existed between them. So this was sort of a getting-to-know-the-Mitchell-family story, and it sounds like the five brothers will be getting their own books in the near future. They all seemed equally interesting so it should be a fun time watching them all be brought to their knees by their female counterparts. 😉 And their parents were quite intriguing themselves. Elaine and Ceallach offered up their own secrets, shocking their sons and giving us more family drama to look forward to. Oh, and last but not least, Sophie the beagle!! How could I forget that cutie pie? Ms. Mallery included Sophie, a loving couple’s real life ‘fur-baby’. They took part in a Seattle Humane auction and the prize was having Sophie as part of a story. Having been the pet mom to a precocious beagle (Mandy) whom I loved to pieces, I think Ms. Mallery did a fantastic job of capturing that charming, curious and extremely loving personality the breed is known for. Well done! Maya and Del’s story was a fantastic introduction to the Mitchell clan. If the rest of the good lookin’ brothers have as much charisma, humor, and loyalty as the eldest brother Del did, I think we’re in for a treat with future romances in Fool’s Gold. Exactly, Marsha!! It only gets better! Thanks, Marcy! Right? If this is just the intro to this family…whew, I can’t imagine how hot the upcoming stories will be! Thanks for your great review. Need to get back to this series. Love Susan’s books. Loved this! I own all the Fools Gold books and many more written by Susan Mallery. I agree with you Fools Gold is the kind of place I want to live. Yay! So glad you love Susan’s work as well, Leanna. 🙂 Fool’s Gold just seems like such a welcoming town with the coolest bunch of people.